1. You were extremely down before a yoga class and by the time you finished the class you are amazed by the fact that you feel emotionally refreshed, positive and uplifted. 2. You went to class in such a good mood, but during class you started to experience a swell of emotions which totally engulfed you to the point where you just started to breakdown and cry in class. My own teacher Sri Durga told us that yoga has the uncanny ability to purify us on all levels and more so on the emotional level. We think that we have our emotions under control or that we have dealt with certain emotional issues in our lives, just to discover through yoga that in fact we haven’t. And if you haven’t, your yoga practice will bring forth those emotional issues until you have positively dealt with them. I am a great proponent of Louise L. Hay and her work on how our emotions affects our muscles, our internal organs and ultimately leads to dis-ease and illness. But, as a yoga teacher and practitioner I have learned how yoga can help us to face these emotional challenges and assist us to overcome them. In Chinese medicine there are twelve main meridians. Along the path of the meridians, there are certain places where the energy pools, making the qi of the meridian more accessible there than at other places. These pools of energy are called acupuncture points. When we do asana in yoga, we either stretch or contract, putting pressure on or taking pressure of these points, affecting the flow of energy in our bodies. It is taught in yoga as in Chinese medicine that there are several emotions identified as having a specific attraction to particular organs. An excess of fear damages the kidneys. Too much anger damages the liver. Excess hate damages the heart, while grief in overabundance damages the lungs. Too much sympathy damages the spleen and sadness destroys the brain. Conversely, equilibrium in the emotions causes the body and its organ systems to work more efficiently. It is therefore the natural teaching of yoga that every asana have an effect not only on the muscles but also on the emotions. When we awaken to the emotional side of yoga asana and accept the impact of asana on our emotional body, we become more sensitive, perceptive, and responsive to the emotional challenges we have to face both on and off the mat. According to Patanjali yoga asana is a position that is both steady and comfortable, a place where one can feel completely present. From this silent backdrop, we watch the agitated mind. Practice then becomes a purifying method of listening to the inner workings of the mind and emotions. It is important to be patient and compassionate with yourself even in the face of negative emotions leading the way. Don’t judge, but use discernment to enhance your awareness, in other words pay attention to your emotions and how they affect you. And remember above all you are not those emotions, you are merely going through that experience like going through a traffic crossing. When we come to yoga we all approach yoga from where we are – some might be already flexible and find yoga a breeze, for the next person every asana may be extremely difficult to perform due to stiff and inflexible muscles, some already have severe back, neck, shoulder or hip issues and the next person might be diabetic or have heart issues. It is the intention of yoga to meet you where you are and working with you on all levels, including the emotional level. You may find that practicing downward facing dog pose deeply stretches the shoulders, the spine, hamstrings, feet, and the Achilles tendons, but we can also use this asana to decrease depression and anxiety. A simple asana such as cat-cow breathing can reduce fear. Supine twists are excellent asanas for relieving back pain, but they help us to accept our stresses in life and prevent us from feeling overwhelmed by all our challenges. So gradually you learn to relax, you learn to release the emotions through your sustained yoga practice in a positive and sympathetic environment and you learn that it is save to release those built up emotional tensions in your body, guiding you to greater equanimity, peace, harmony and tranquillity. The ripple effect of this release of even very deep and old emotions, will eventually lead to understanding our bodies and ourselves much better. Our poses can strongly influence our emotional states. For instance, because of the expansive inhalation and opening of the chest, backbending, traditionally a stimulating practice, can elevate a low mood. Exhale-intensive poses such as forward bends tend to calm an agitated mind. In any balance practice, both inhale-oriented and exhale-oriented postures are executed in order to create equilibrium in the body and breath and to gain emotional harmony. Sarvangasana (shoulderstand) or halasana (plow) help reverse energy blocks— inflexible thinking, stuck emotions, and feelings of sadness. Balasana (child’s pose) sends relaxing signals to both sympathetic and parasympathetic nervous systems. Garudasana offers relief to the scattered mind and works on the balance of the external and internal worlds. Marichyasana (sage pose) is one of yoga’s greatest harmonizers because it both calms the mind and releases sluggishness in the body. Janu shirshasana (head to knee) relieves feelings of anxiety, fearfulness, and stress. On each exhalation, let the torso sink further toward the legs. Dhanurasana (bow) helps stimulate the inhale and arouses the adrenal glands. Woodchopper assists in the emotional release of frustration and anger. 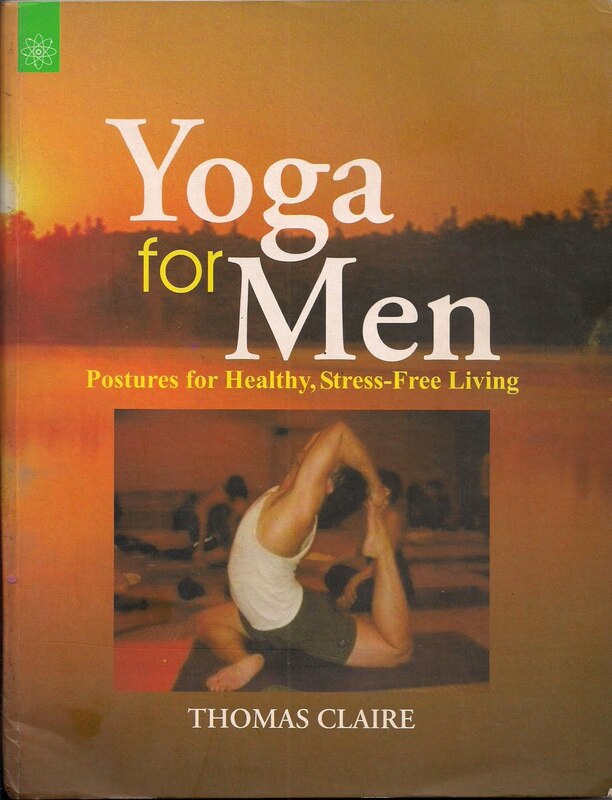 While standing, lift your imaginary ax on your inhale, and with a forceful “Ha!” on the exhale, chop the imaginary wood between your legs. Forward bends – these asana can trigger a release of egocentric attitudes. They force us to face our fears as we turn inward. Those of us always looking behind to see what the world is up to will have difficulty in forward folds, and may have to confront emotions which have to do with surrendering to our own strength. Forward bends calms the mind and body and emotions and tends to bring greater understanding into our consciousness. Backward bends – these asana are important when dealing with attitudes of embracing life – of being wide open to receive the good, bad and the ugly, to rise to life’s challenges. When practicing backbends, we may have to deal with emotions of being a doormat to others – literally bending over backward to please them, letting go of co-dependent patterns and building our own self-esteem without relying on others excessively to give us a positive self-image. Just as in forward folds, backbends can bring up fears associated to these emotional patterns. Those who are extremely shy or have had their heart broken repeatedly may feel feelings of sadness as psychic wounds of the heart are healed. Because we are exposing our whole self to the world in backbends, they can also bring up feelings of confrontation experienced in the past with the self or others. But on the plus side backbends tend to calm the mind and bring harmony and peace into the body. Balancing asana – Have you ever noticed that your one side is sometimes more balanced than the other? In yoga philosophy the left side is the female side, it is the ida or moon side and deals with our more feeling and artistic expressions. The left side also deals with issues of the past. The right side is our male side, it is pingala or the sun side and the right side is more logic and calculated and deals with the present. Balancing asanas are extremely indicative of a person’s emotional state. Someone with an un-easy emotional state, or a mind busied with too many emotions, will find balancing poses very difficult. As they find equilibrium in these poses, whatever emotions that are causing the mind to become agitated may increase before subsiding to a more peaceful place. Balance poses help to build a calm, resilient, steady mind. Twisting asana – as you may have imagined, these asana have to do with untangling the knots of life. All twisting asana initiate feelings of dealing with obstacles we face, and developing strength to face whatever comes our way. Twists, along with backbends give us more confidence through sustained practice, and develop overly introversive personalities. Finally, inverted asana – when we practice these asana, we are literally turning the world on its head – changing our perspective completely, turning our behavioral patterns upside down. Inversions help us to see ourselves, and our world from a different angle, so you can imagine all the emotions that can arise from turning your whole perspective around. Inversions help to purify the mind and bring greater peace and calm even when our worldview feels shaken. Practice Off the Mat – Notice the situations that cause you to become tense. Are you an anxious driver, talker, or worker? When you cook or do the dishes, does your back feel strain? Whether the tension is in the shoulders, neck, back, or navel center, practice moment-to- moment body awareness. This will help you cleanse your negative emotions and trapped issues so that they don’t find a permanent home in your body. Wise Words – Following the path of yoga cuts through the roots of suffering. Hatha yoga teaches us control of breath and control of body. Through awareness we learn concentration, control of our thought patterns, and emotional control. The serious yoga practitioner will cling less to life’s negative matters, permitting the practice to have a levelling effect on the emotional body. Frustration in the Body – When we feel frustrated, it generally means that we’re not flowing with the experiences of our lives. Instead we’re pushing away or resisting something. Frustration then collects in the body. Many of us feel it in the shoulders, neck, low back, and hips. Problems in the shoulders represent irritability and resistance to change. Issues in the back can be related to a repression or restriction in your life, hurtful issues from the past, or the need to carry the weight of the world. Repressed anger creates tension in the neck as you force your feelings down your throat instead of saying what you want to say. You can literally experience a pain in the neck from something or someone who makes you angry. The hips are related to general frustration. Notice the person who often stands with her hands on her hips. This is a gesture of feeling frustrated and out of control. Feel what you have done – Whenever your teacher stops during class and ask you to feel what you have done, take that time and cultivate awareness of your emotions and body and how the influence each other. Intention is everything – The natural outflow of awareness is intention. Set your intention for each yoga class to work through those emotional challenges your body manifest at that particular point in your life. Breathe regularly deeply – The breath is everything, my teacher used to say. Cultivate breath awareness and learn to breathe deeply into your belly, putting all of your awareness into the breath. Feel all the emotions of your respiratory system—the air in the nostrils, throat, and chest, the belly and chest rising. Feel the rib cage expanding to the front, to the sides beneath the armpits, and all the way into the lower back. Gently move your attention from your mental state to your breath so that you can more easily observe and step back from your emotions. Embracing Change – Change is one of the most difficult aspects we have to face on a daily basis. Through the practice of yoga, we awaken to how life unfolds moment by moment. Things are constantly changing—the breath, your state of mind, the phases of the moon, the seasons. This can be both a profound revelation—life is like a flower that blooms continuously—and a harsh reminder that nothing lasts forever. Even your body will let you down in the end. When we resist change, the ego will try to hold on to the body as it is. Consequently the body contracts and tenses, and the natural flow of energies slows down or may stop completely, creating blocks in the form of a tight hip or frozen shoulder. That’s why until we accept the changes that occur from day-to-day and from year to year, and until we surrender to the natural course of existence, little progress can be made along the path of yoga. Asana practice shows us how our bodies, minds, and the world around us are constantly changing. Today, through breath, patience, and a watchful eye, we’ll honour our changes from movement to movement and embrace the reality of change. Embracing change creates ease and freedom in your world. Give yourself room for expansion. Give yourself room to change. Allow change to happen to you. Don’t resist it. Sunrise and sunset are obvious reminders of change. May we learn to accept life’s constant changes. This entry was posted in Yoga, Yoga Philosophy and tagged asana, awareness, body, discernment, emotions, flexibility, healing, health, mind, philosophy, pranayama, soul, spiritual, spiritual path, Yoga, yogic.